The official Great British Coin Hunt coin collection celebrates everything quintessentially British. The Royal Mint has revealed a brand-new collection of 10p coins which map out from A to Z what makes Britain great, with B standing for Bond. This is the only official UK 10p coin featuring the iconic 007 gun logo and gun-barrel synonymous with the nation’s favourite secret agent. The entire collection will be rolling out into circulation across the country from today, and will be available at selected Post Offices from this week. 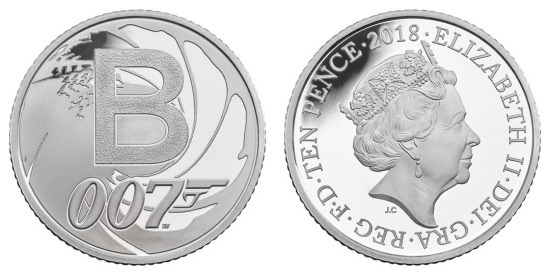 A collectors’ folder, and silver proof and uncirculated versions of the 10p coins, will be available to purchase from The Royal Mint website. 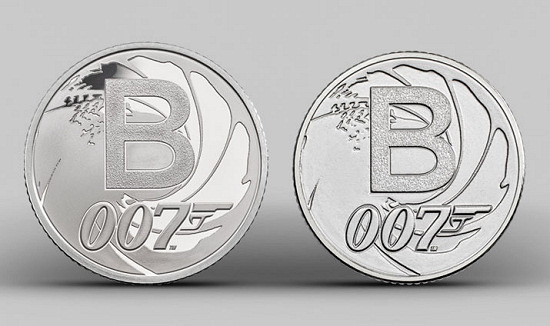 The coins will also be available to purchase at Bond in Motion, London Film Museum.